Buy your Fujitsu Scanners from ScanStore and our dedicated scanner experts will be there to help if you need us. Online feature comparisons, user reviews & live support chat. 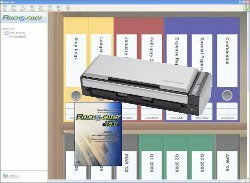 for rare and difficult documents, our preview function allows scan operators to see their adjustments in real-time without time consuming re-scans. PSIP works with both ISIS and TWAIN applications. 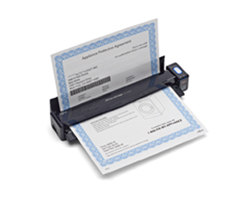 fi-7180 80ppm Color Duplex 8.5x220"
fi-7280 80ppm Color Duplex 8.5x220"
With a built-in rechargeable battery, the ScanSnap iX100 allows you to easily scan documents anywhere, anytime. iPhone and now Android device for viewing on the go. documents, our preview function allows scan operators to see their adjustments in real-time without time consuming re-scans. PaperStream IP works with both ISIS and TWAIN applications. 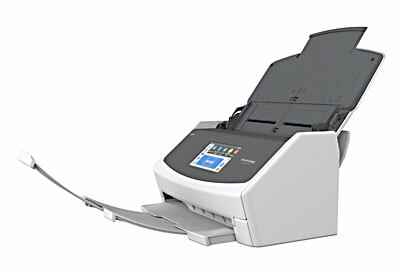 ScanSnap iX1500 30ppm Color Duplex 8.5x118"
Insufficient space is not an issue due to the compact design of the SP-1425. 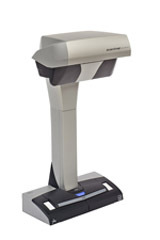 This scanner is designed to be used in all kinds of environments, including in places where space is limited. fi-7030 27ppm Color Duplex 8.5x220"
to feel any stress, the image processing after scanning is quick thanks to the enhanced CPU/memory. The time from the start of scanning to the finish including image processing (when the preview of the last scanned page appears) is 50% shorter than the previous model(1). For regular scanning routines, only one touch of the scan button is necessary which greatly improves the productivity. fi-7460 60ppm Color Duplex 12x220"
our preview function allows scan operators to see their adjustments in real-time without time consuming re-scans. PaperStream IP works with both ISIS and TWAIN applications. 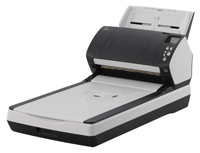 fi-7480 80ppm Color Duplex 12x220"
The easy to use scanner for sharing documents in today’s multi-location, global environment. Network scanning, collaboration, emailing and faxing just got a lot easier. Simply load your documents, log into the network, select the destination, and press the scan button. 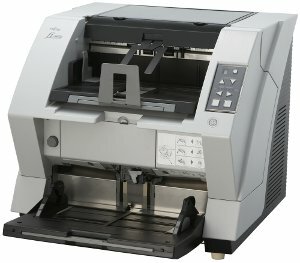 fi-6130Z 40ppm Color Duplex 8.5x122"
Whether the infrastructure is fixed or expanding, managing technology efficiently inside the organization is key to reducing total cost of ownership and the Fujitsu fi-6130 provides system administrators with advanced software tools to centrally manage the scanner more productively and cost effectively. 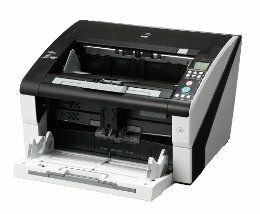 More info on Fujitsu Scanners. 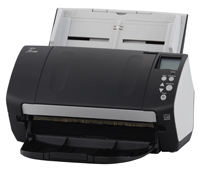 This page was designed to help you find Fujitsu Scanners quickly and easily. 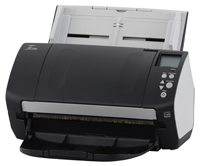 Click Here to find Fujitsu Scanners. 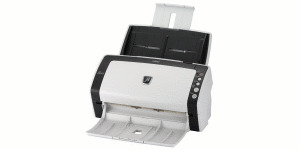 Click Here to find Fujitsu Scanners.